Please make sure that you choose License is revocable option. If your users can always be online, please select Force Internet option. 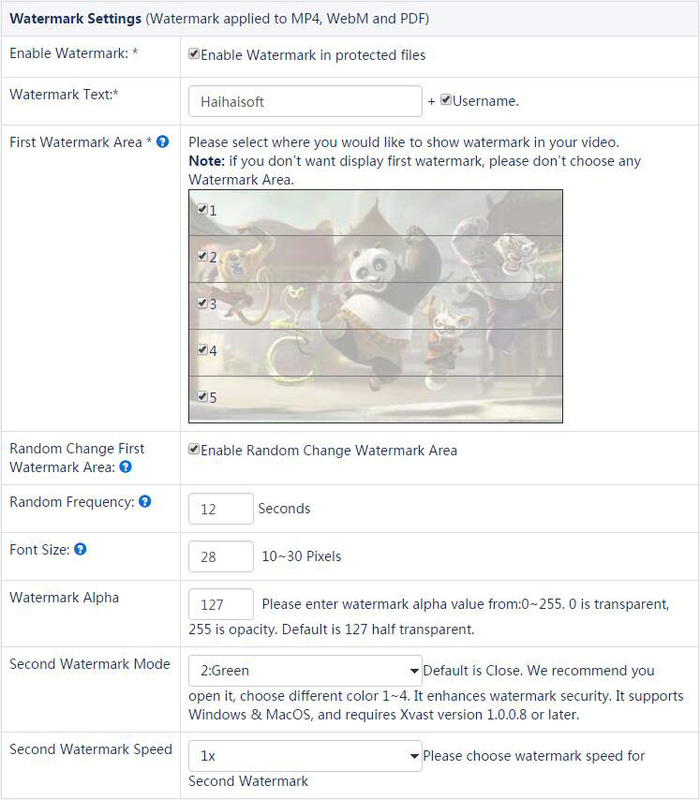 Dynamic Watermark can show users' personal information. For example, user's mobile phone number, passport number, user id and so on. It's not for showing your company logo. Your company logo can be directly encode into videos. Dynamic Watermark can be used for Legal evidence purpose. People won't record the video when they see their mobile phone number or passport number showing on it. For watermark settings, please select Username. When you create user in DRM-X 4.0 Account, you can use user's mobile phone number as Username. You can also integrate with your web site and customize watermark text. We recommend that you open Second Watermark. You can choose different watermark color 1~4. It enhances watermark security. It supports Windows & MacOS, and requires Xvast version 1.0.0.8. 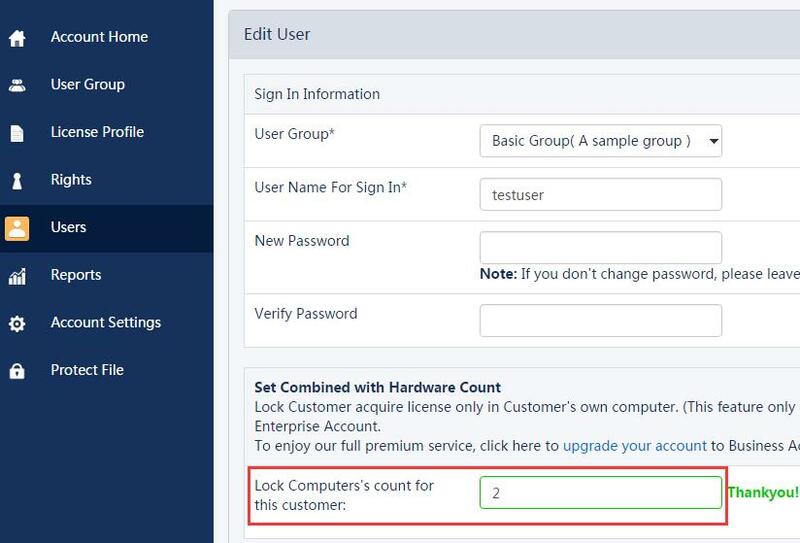 Enter the "user" management page, click "Revoke" to enter the page to revoke the user license. 8. Enable Smart Prevent Screen Recording. In DRM-X 4.0, Haihaisoft Smart Prevent Screen Recording Technology can automatically and effectively detect Screen Recording software. 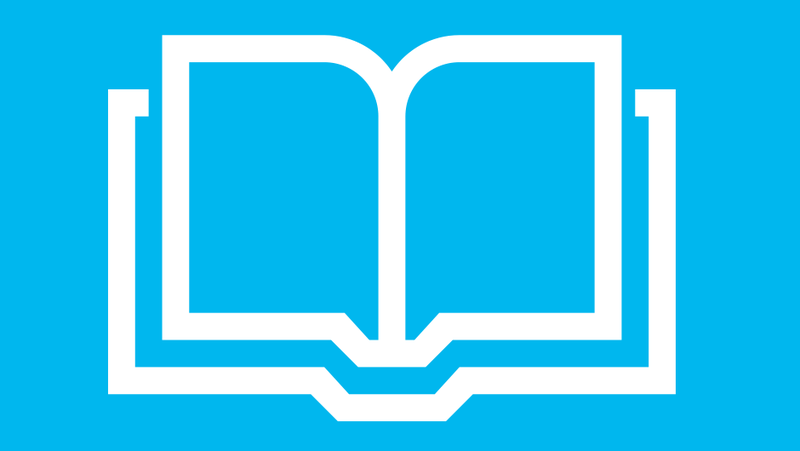 It helps content providers better control the Rights of their DRM-X 4.0 protected content. Haihaisoft Smart Prevent Screen Recording Technology is big enhancement compare previous Haihaisoft Blacklist feature. Blacklist can only prevent screen recording or capturing software in the Blacklist, currently nearly about 200 common screen recording and capturing software. But Smart Prevent Screen Recording Technology is much smarter than Blacklist, it detects all major currently screen recording software and even future screen recording software. 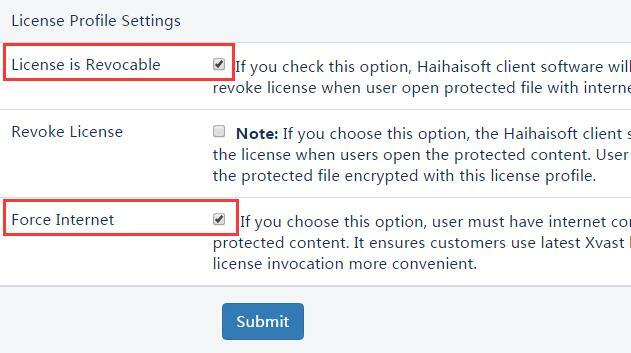 To turn on Haihaisoft Smart Prevent Screen Recording Technology, you have to purchase DRM-X 4.0 Enterprise account, and in Rights->Edit Rights, please choose Enable Haihaisoft Smart Prevent Screen Recording Technology. Please select Check "Protect Document" option. If you allow your clients to print PDF, we highly recommend that you select "Disable Virtual Printer" option and set limited "Print Count". Please don't select "Allow Clipboard" option. 10. Force Use Latest Xvast Browser. You can enhance security level by using the latest Xvast. If you don't know whether it's necessary to upgrade to the latest Xvast, you can contact with Haihaisoft Customer Service. 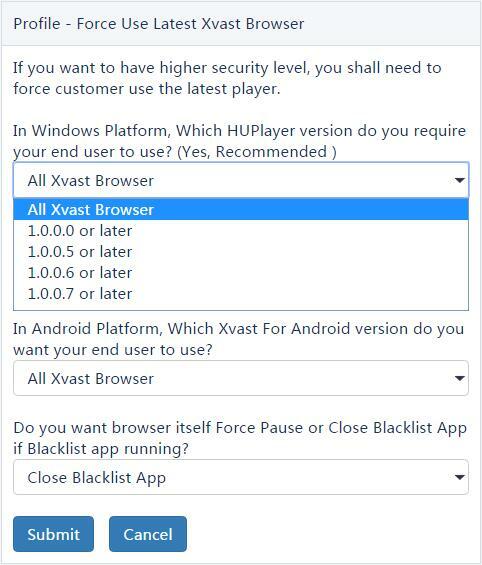 You can set it on your DRM-X 4.0 Account: "Account Settings" -> "Force Use Latest Xvast". 11. If you are haven't integrated DRM-X with your website, Don't set the Rights price to 0.